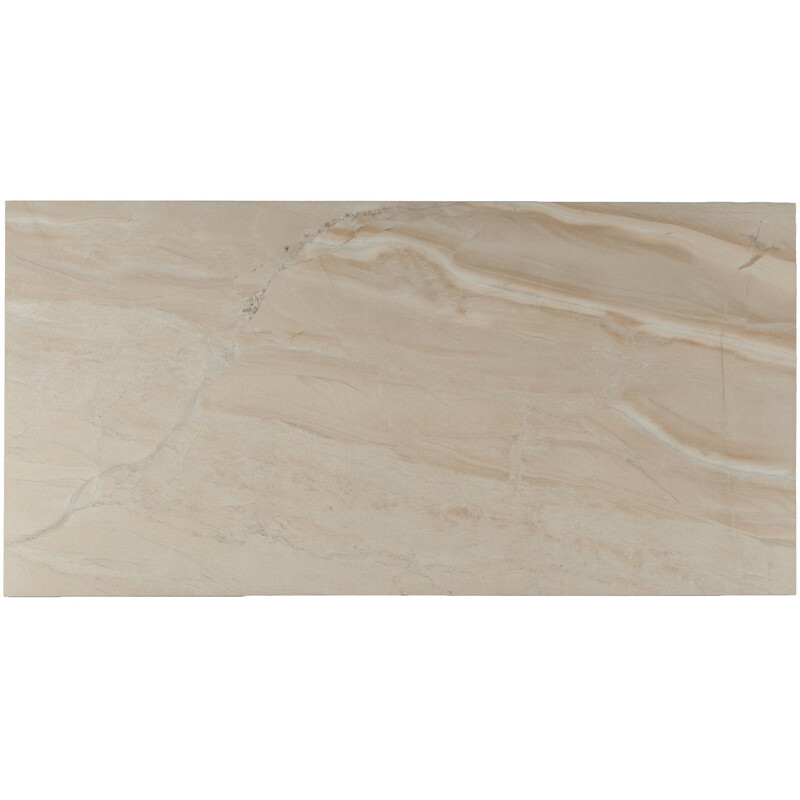 The Claystone Ray tile has a very high-quality stone optic. 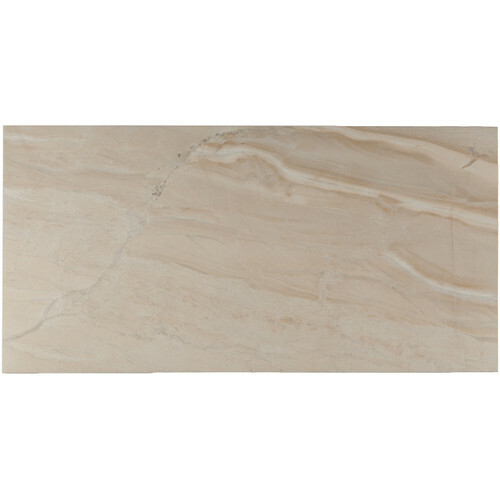 This porcelain stoneware tile was inspired by various sedimentary rocks. The innovative design of this porcelain stoneware gives any room a certain depth and airiness. The various colours of the Claystone series have a soft appearance, evoking a fine brushstroke. 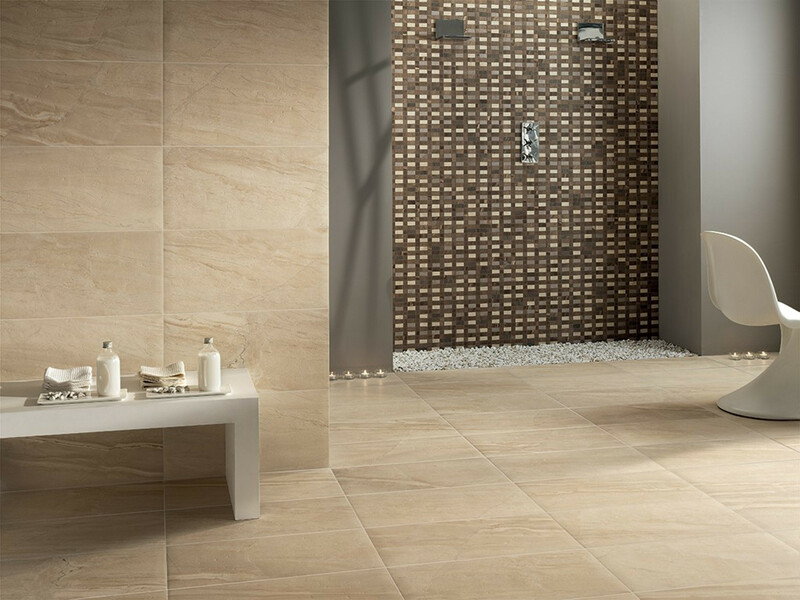 The Italian manufacturer, Fioranese, delivers the Claystone Ray porcelain stoneware tile from the Claystone series in rectangular form with dimensions of 45 x 90 cm and a thickness of 10 mm in a sand colour and matte finish. This tile is rectified. After the burning process, it is finished by machine, resulting in a uniform size with 90° edges. 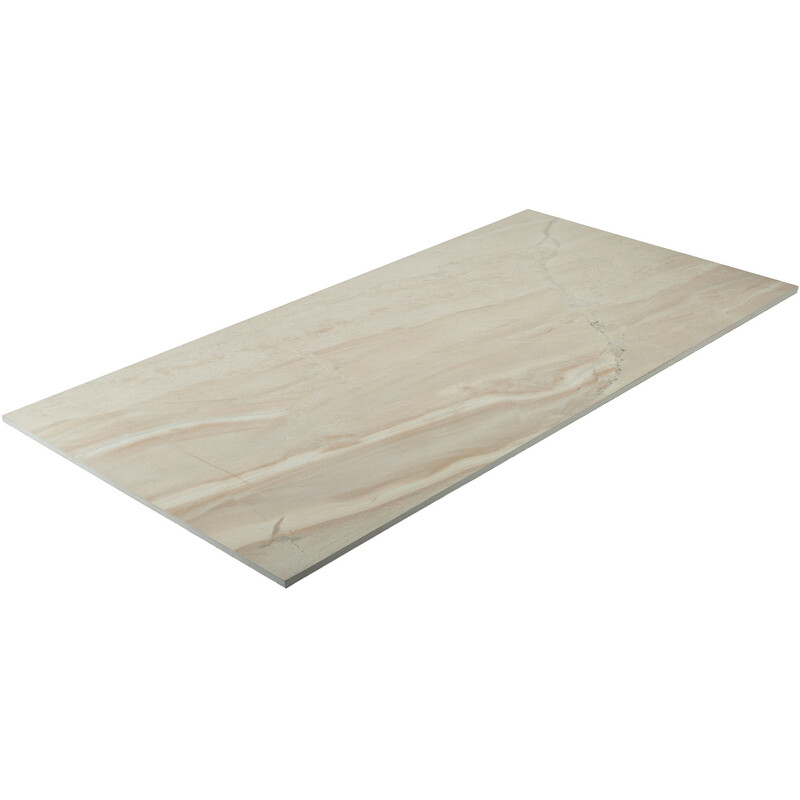 The frost-resistant Claystone Ray tile is suitable for both walls and floors. The "frost-proof" designation applies to outdoor areas; however, we recommend a drainage mat for controlled run-off of the thawed water, as otherwise the water cannot drain and frost damage can occur. As a floor tile, this porcelain stoneware features a slip resistance of class R10 and a friction of class 5, making it suitable for intensive use with abrasive soiling, such as in entrance areas and kitchens.